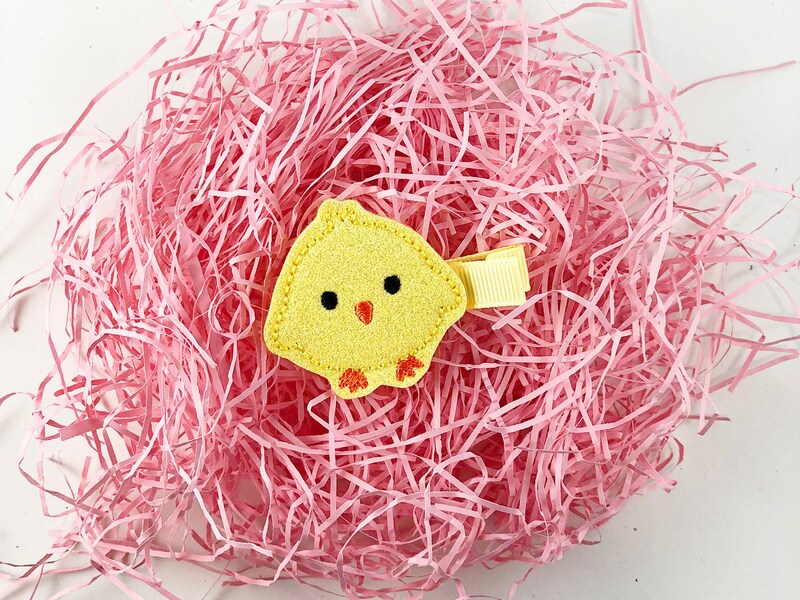 Hop into Easter with our chick hair clip! • ONE Bunny-Hop hair clip that features our European merino wool and glitter fabric. Our clips are set on an right sided alligator clip with a non-slip grip — made to fit comfortably yet securely.